As highlighted in this previous post, in February 2012 Goodyear Tire & Rubber Company disclosed as follows. As highlighted in this previous post, in October 2014 Goodyear disclosed that it recorded a charge of $16 million in connection with the above FCPA inquiry. Yesterday, an actual enforcement action dripped from the FCPA pipeline as the SEC announced an administrative action against Goodyear in which the company, without admitting or denying the SEC’s findings, agreed to pay approximately $16 million. “This case involves violations of the books, records, and internal control provisions of the Foreign Corrupt Practices Act (“FCPA”) by Goodyear. Goodyear, headquartered in Akron, Ohio, is one of the world’s largest tire companies. From 2007 through 2011, Goodyear subsidiaries in Kenya (Treadsetters Tyres Ltd., or “Treadsetters”) and Angola (Trentyre Angola Lda., or “Trentyre”) routinely paid bribes to employees of government-owned entities and private companies to obtain tire sales. These same subsidiaries also paid bribes to police, tax, and other local authorities. In all, between 2007 and 2011, Goodyear subsidiaries in Kenya and Angola made over $3.2 million in illicit payments. “Treadsetters is a retail tire distributor in Kenya. In 2002, Goodyear acquired a minority ownership interest in Treadsetters. By 2006, Goodyear had acquired a majority ownership interest in the company, though the day-to-day operations of Treadsetters continued to be run by Treadsetters’ founders and the local general manager. During the relevant time period, Treadsetters had annual revenues of approximately $20 million. From 2007 through 2011, Treadsetters’ management regularly authorized and paid bribes to employees of government-owned or affiliated entities, and private companies, to obtain business. The practice was routine and appears to have been in place prior to Goodyear’s acquisition of Treadsetters. The bribes generally were paid in cash and falsely recorded on Treadsetters’ books as expenses for promotional products. Treadsetters’ general manager and finance director were at the center of the scheme. They approved payments for phony promotional products, and then directed the finance assistant to write-out the checks to cash. Treadsetters’ staff then cashed the checks and used the money to make improper payments to employees of customers, which included both government owned entities and private companies. Between 2007 and 2011, Treadsetters paid over $1.5 million in bribes in connection with the sale of tires. This included improper payments to employees of government-owned or affiliated entities including the Kenya Ports Authority, the Armed Forces Canteen Organization, the Nzoia Sugar Company, the Kenyan Air Force, the Ministry of Roads, the Ministry of State for Defense, the East African Portland Cement Co., and Telkom Kenya Ltd. During that same time period, Treadsetters also made approximately $14,457 in improper payments to local government officials in Kenya, including city council employees, police, and building inspectors. “Trentyre was incorporated in 2007, and is a wholly-owned subsidiary of Goodyear. Trentyre is primarily engaged in selling new tires for mining equipment. During the relevant time period, Trentyre had annual revenues between $6 million and $20 million. From 2007 through 2011, Trentyre paid over $1.6 million in bribes to employees of government-owned or affiliated entities, and private companies, to obtain tire sales. Trentyre paid approximately $1.4 million of these bribes to employees of government-owned or affiliated entities in Angola, including the Catoca Diamond Mine, UNICARGAS, Engevia Construction and Public Works, the Electric Company of Luanda, National Service of Alfadega, and Sonangol. A majority of these improper payments were paid to employees of Trentyre’s largest customer at the time, the Catoca Diamond Mine, which is owned by a consortium of mining interests, including Endiama E.P., Angola’s national mining company, and ALROSA, a Russian mining company. During the same time period, Trentyre also made approximately $64,713 in improper payments to local government officials in Angola, including police and tax authorities. The bribery scheme was put in place by Trentyre’s former general manager. To hide the scheme and generate funds for the improper payments, Trentyre falsely marked-up the costs of its tires by adding to its invoice price phony freight and customs clearing costs. On a monthly basis, as tires were sold, the phony freight and clearing costs were reclassified to a balance sheet account. Trentyre made improper payments to employees of customers both in cash and through wire transfers. As bribes were paid, the amounts were debited from the balance sheet account, and falsely recorded as payments to vendors for freight and clearing costs. “In determining to accept the Offer, the Commission considered remedial acts promptly undertaken by Respondent and cooperation afforded the Commission staff. After receiving information about the bribes, Goodyear promptly halted the improper payments and reported the matter to Commission staff. Goodyear also provided significant cooperation with the Commission’s investigation. This included voluntarily producing documents and reports and other information from the company’s internal investigation, and promptly responding to Commission staff’s requests for information and documents. These efforts assisted the Commission in efficiently collecting evidence including information that may not have been otherwise available to the staff. Goodyear also has undertaken remedial efforts. In Kenya, Goodyear divested its ownership interest in Treadsetters, and ceased all business dealings with the company. In Angola, after Goodyear halted the improper payments its subsidiary lost its largest customer. 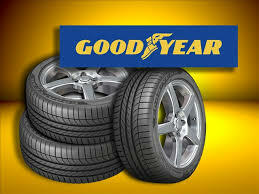 Goodyear is now in the process of divesting this subsidiary. Goodyear also undertook disciplinary action against certain employees, including executives of its Europe, Middle East and Africa region who had oversight responsibility, for failing to ensure adequate FCPA compliance training and controls were in place at the company’s subsidiaries in sub-Saharan Africa. Joan McKown (Jones Day and a former SEC enforcement division attorney) represented Goodyear. Yesterday, Goodyear’s stock closed down .09%.